Traditional web analytics provide you with a lot of averages. What pages are people visiting, on average? How long do they stay, on average? Which channels convert the best, on average? But if you only pay attention to averages, you’ll never be more than an average marketer. Smart marketers are turning web analytics inside out. Instead of looking at where all of your web traffic goes, they look at each unique customer journey and then determine the relevant commonalities among them. This gives you the ability to go way beyond the old, outdated method of understanding visitors’ often unique (and unpredictable) behaviors. With inside out analytics, you can pull deep insights from individual customer journeys by aggregating individual customer journeys into meaningful audience segments and then impacting those segments differently. For example, what is the path to purchase for 35-year-old women from the Midwest? Is it the same as or different than the path for 22-year-old men from the South? This can lead to surprising insights. It may turn out that 22-year old southern men don’t like listening to the Alabama Shakes, but 35-year-old midwestern women do. You may also find that college-bound students just aren’t interested in the latest goal-oriented apps that professional 40-somethings crave. Where are they spending their digital time? What can you do to be part of the conversation? As companies look to single touchpoints and interactions with real individuals, they can begin to map out unique customer journeys. Creating truly compelling experiences that keep customers coming back is challenging because customers expect individualized experiences that follow them from each digital touchpoint. By viewing customer journeys and understanding customer identity, companies can gain insight that will help them create memorable experiences. At Janrain, we offer a customer engagement solution to help create these personalized experiences by diving into inside-out analytics. We help companies drive meaningful engagement across digital experiences while generating and collecting behavioral data. We’ve seen this solution help companies further personalize customer interactions and drive deep and frequent engagement. When Whole Foods wanted to create connected customer experiences across devices, they turned to inside-out analytics. The retailer wanted to create channels to make it easy for shoppers to save time and decrease the effort in the planning and preparation of meals. They wanted to personalize their customer experiences by capturing useful profile information and preferences for retargeting and provide seamless access to an in-store app for busy shoppers to use on the fly. They used a CIAM platform to power registration and customer profile management across each of its digital touch-points. They created a connected customer experience by enabling customers to sync preferences and unify the online, mobile, and in-store experience. Shoppers can store personal preferences, save content for later on the website, and move through the store quickly. Whole Foods is able to use these preferences to better understand each customer. Rather than using analytics as a whole, the retailer put an emphasis on finding ways to understand their customers on a personal level and use the data to create better and more unique experiences. By doing so, Whole Foods increased their customer loyalty. Philips used inside-out analytics to spark their product innovation. The company, which is all about improving people’s lives through meaningful technology advancements, implemented a cloud-based identity solution to help them collect product feedback from individual customers. By focusing on each unique individual, they are better able to understand customer needs and bring more relevant products to market. For example, the Philips Sonicare app connects with the Sonicare toothbrush to help users monitor the effectiveness of their brush head, focus on certain areas for extra care when brushing, set daily goals, and be aware of any missed areas while brushing. Through this app, Philips is creating a unique experience for each customer while gaining valuable insights. These insights and analytics are then used to create even more personalized experiences for each customer. 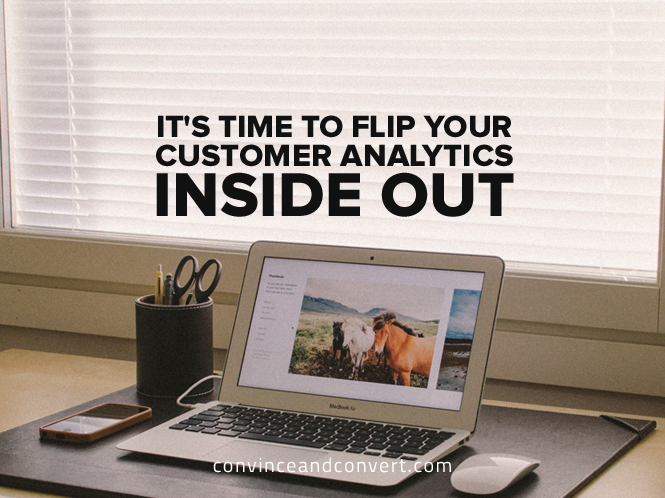 Inside-out analytics are how many companies will get ahead of the competition and gain loyal customers. This post is part of a paid sponsorship between Janrain and Convince & Convert.